Description: In Education of a Dropout, Chapter 2 of Boston Stories, author Mike Spock learns how his disabilities and non-standard education turned out to be assets in re-conceiving and developing a new kind of museum. Description: Dr. Spock discusses becoming a grandfather for the first time inLook Magazine (6 pages). 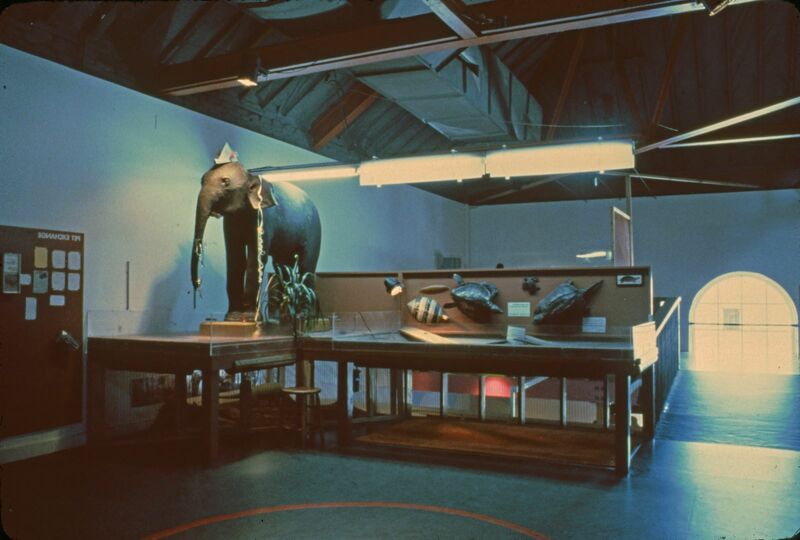 Description: An elephant and several sea creatures are seen in this undated photo from the Visitor Center exhibit, Animals. 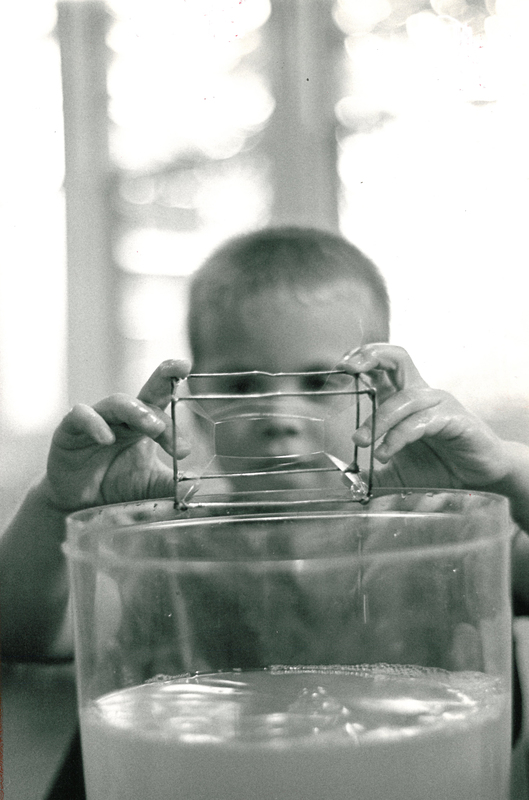 Description: In notes to an American Museum of Natural History colleague, Bob Osborn mentions Mike Spock and his desire to go into natural history museum work (6 pages). 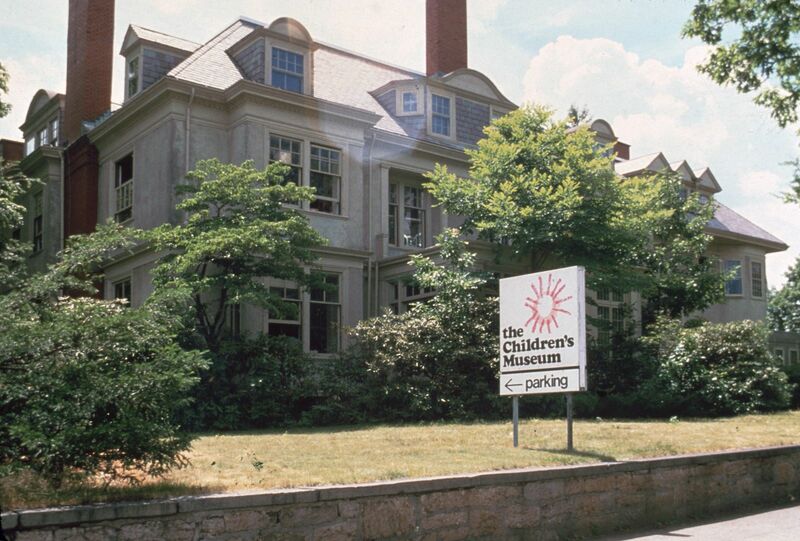 Description: The Boston Children's Museum's home in Jamaica Plain. 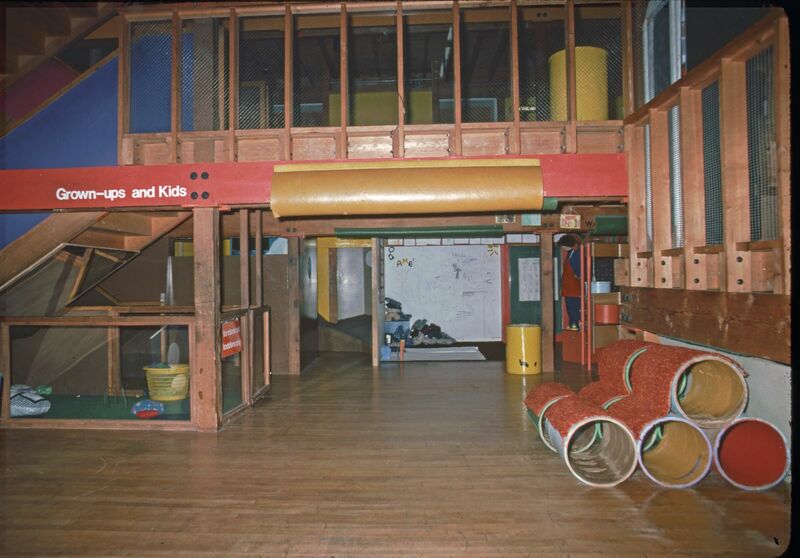 Description: The Jamaica Plain Building, home to the Children's Museum from 1936-1979. 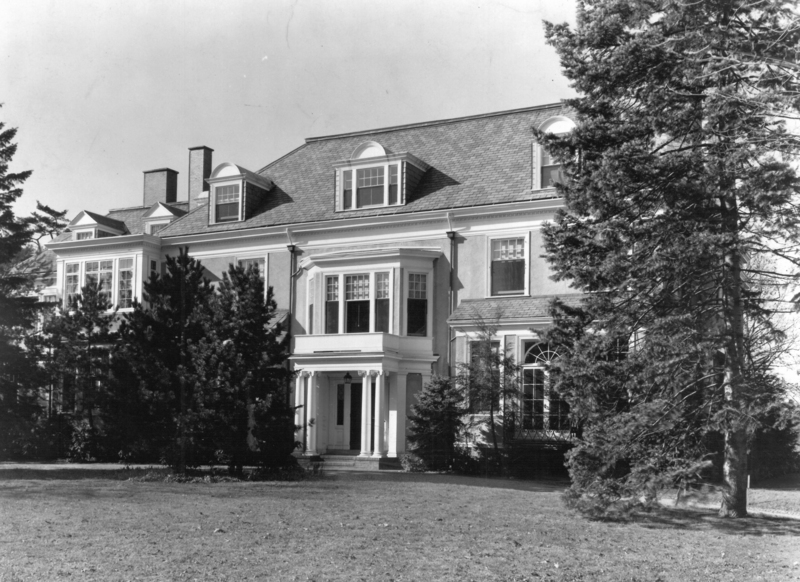 Description: Historic photograph of the Jamaica Plain building. Description: Frank Avruch discusses his experience playing the role of Bozo. 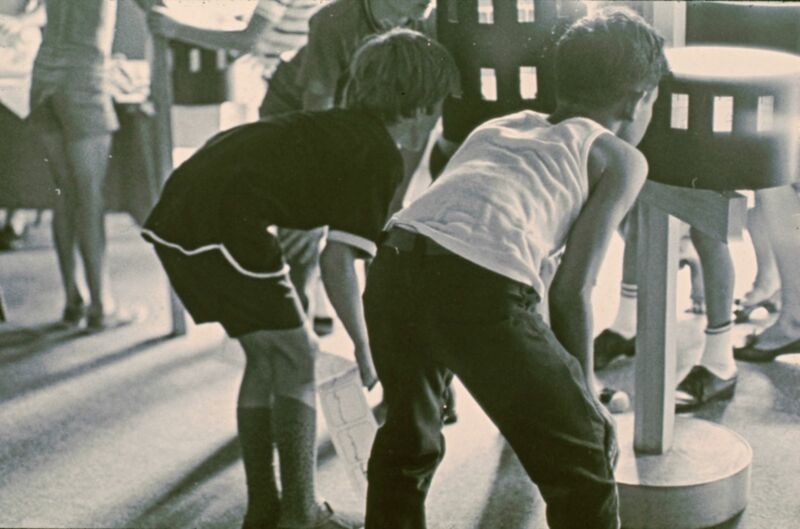 Description: Slideshow narrated by Mike Spock, discussing the primacy of play in Children's learning. Description: Discussion of the Children's Museum and their philosophy for educating children, as well as the development of MATCh boxes. 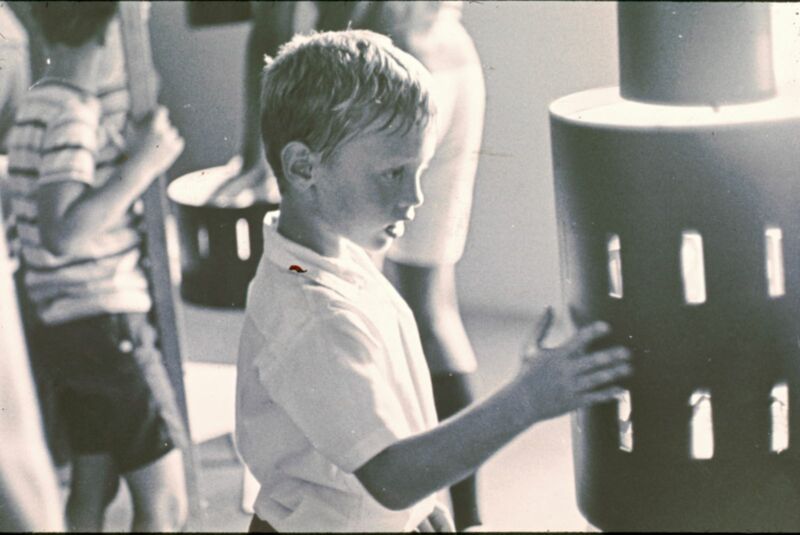 Description: A practice transaction at the Children's Store exhibit. 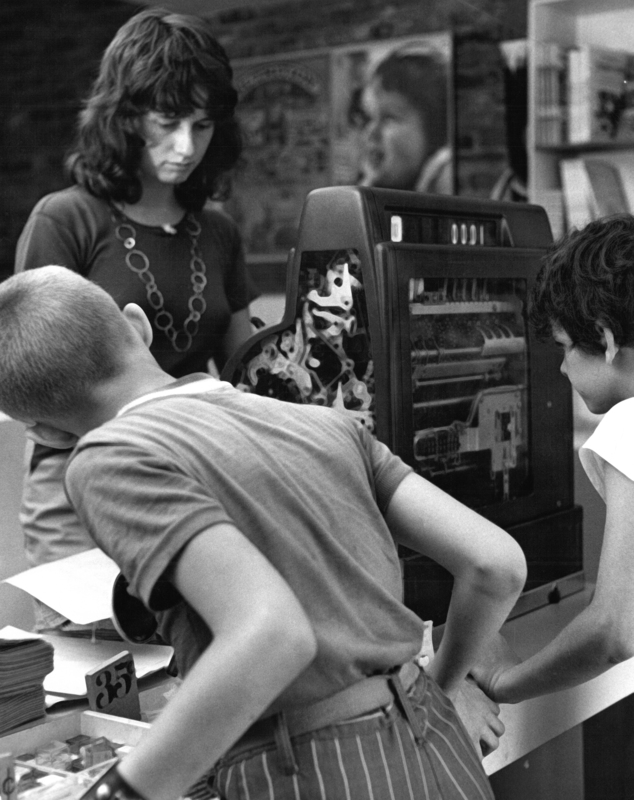 Description: Children making purchases on the see-through cash register in the Children's store. Description: "Tell me, I'll forget. Show me, I may remember. But involve me, and I'll understand." Proverb found on a daily calendar dated Friday, July 29, 1994. 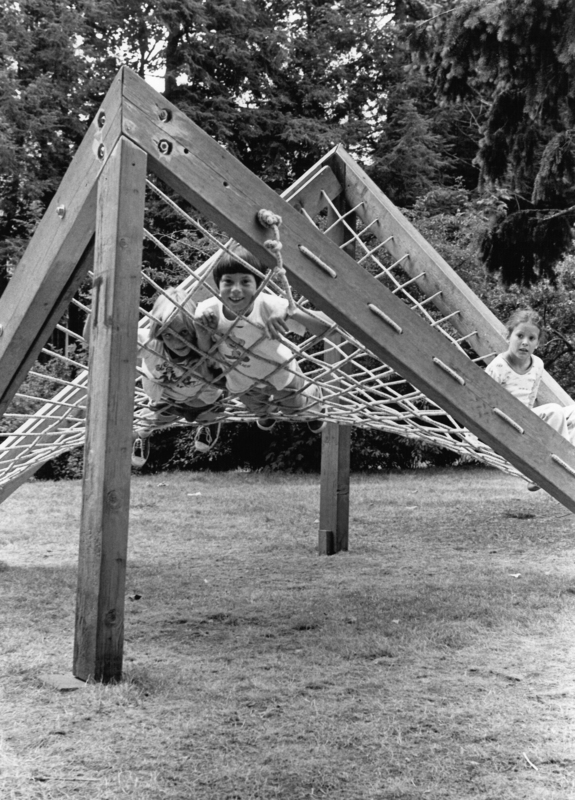 Description: Kids climbing on an outdoor rope apparatus. Description: Mike Spock tells one of his favorite museum stories from his childhood and how it affected his museum work as an adult. 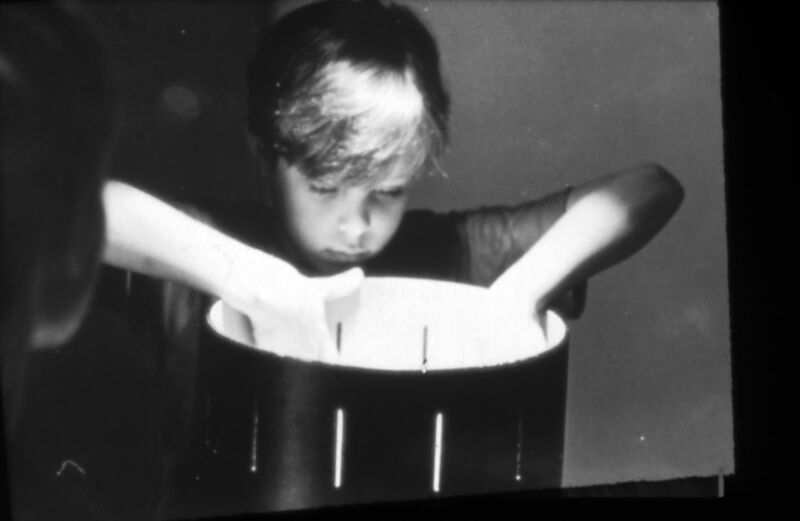 Description: A child interacting with a piece of plastic in the Colors exhibit. Description: In this exhibit review, the author comapres the Algonquin Wigwam and the Oversized Exhibit. Document also includes a hand-written letter from a volunteer and a list of BCM exhibitions 1913-1986. 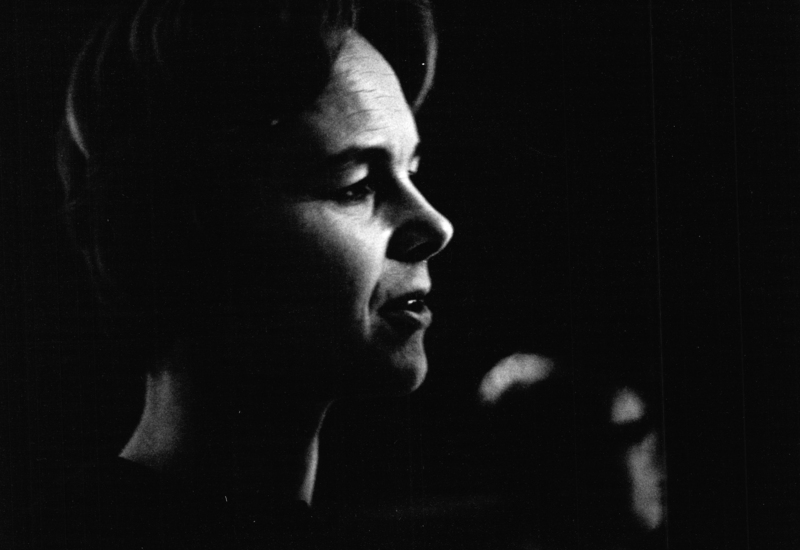 Description: Photograph of Cynthia Cole. Description: Excerpt from an interview of a manage's meeting in which managers discuss characteristic of the museum and its products, museum philosophy and values, creating curriculum and other programming, and how to attract kids to come and learn at the museum. Description: Video excerpt in which Elaine Gurian talks about her unconventional job interview with Mike Spock. 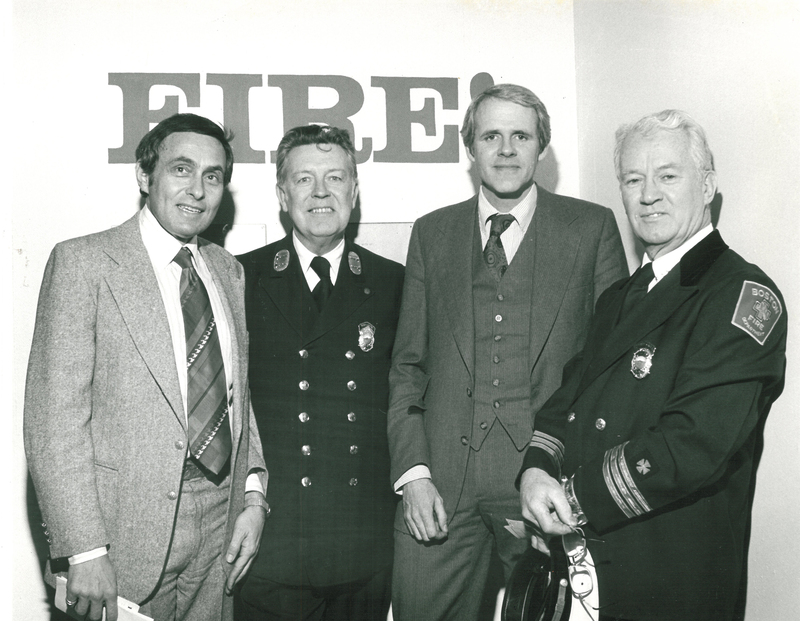 Description: Frank Avrush and Mike Spock are pictured with two Boston firemen. 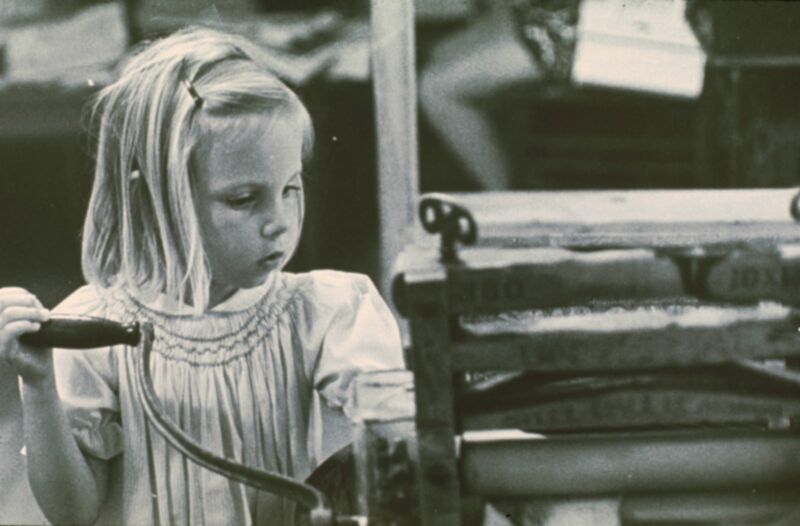 Description: Promotional postcard, 'From the Classroom to the World: Hine, Ulmann, Strand, Arbus and the Ethical Culture Fieldston School,' an exhibition at the New-York Historical Society. Description: The Giant's Desktop exhibit. 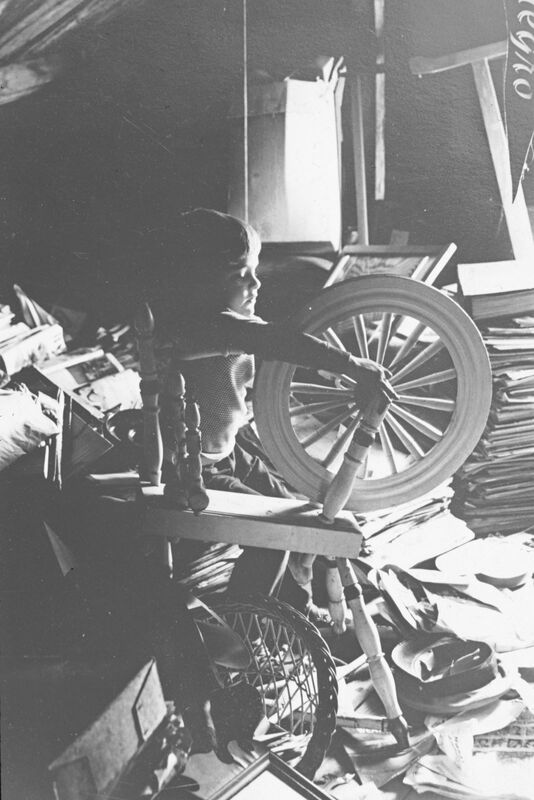 Description: A young child playing with a spinning wheel in the exhibit. 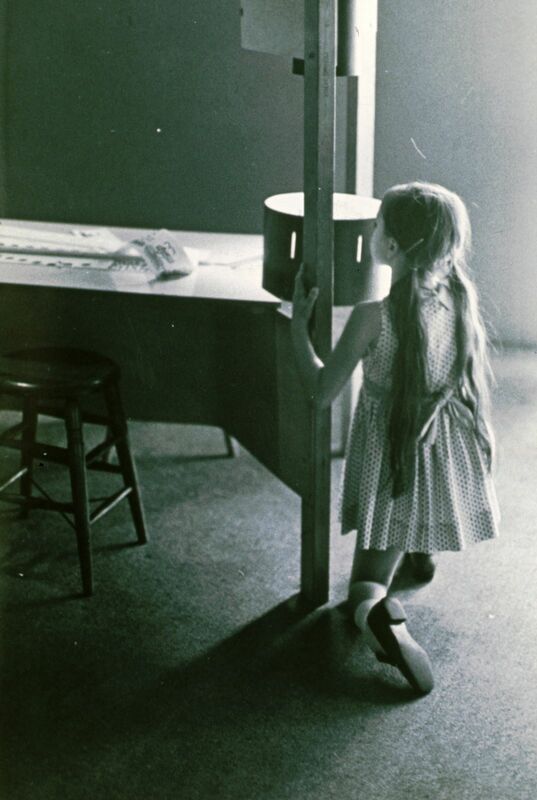 Description: A young girl's attention is grabbed by the Grandmothe's Attic exhibit. 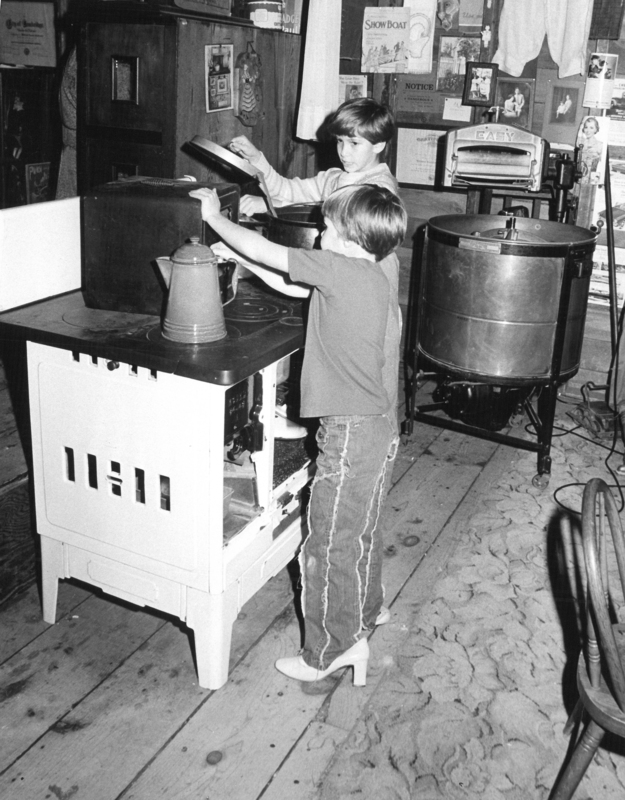 Description: Kids playing with the Grandmothe's Attic exhibit's stove. Description: The Grown-ups and Kids exhibit at the Visitor Center. 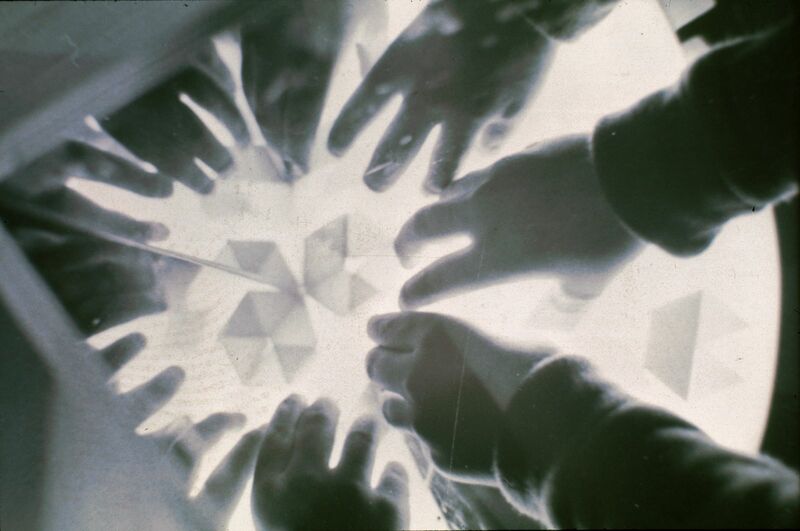 Description: An act, sponsored by Mr. James J. Craven, Jr., which provided free admission to the Children's Museum to school groups and teachers within the Commonwealth of Massachusetts. 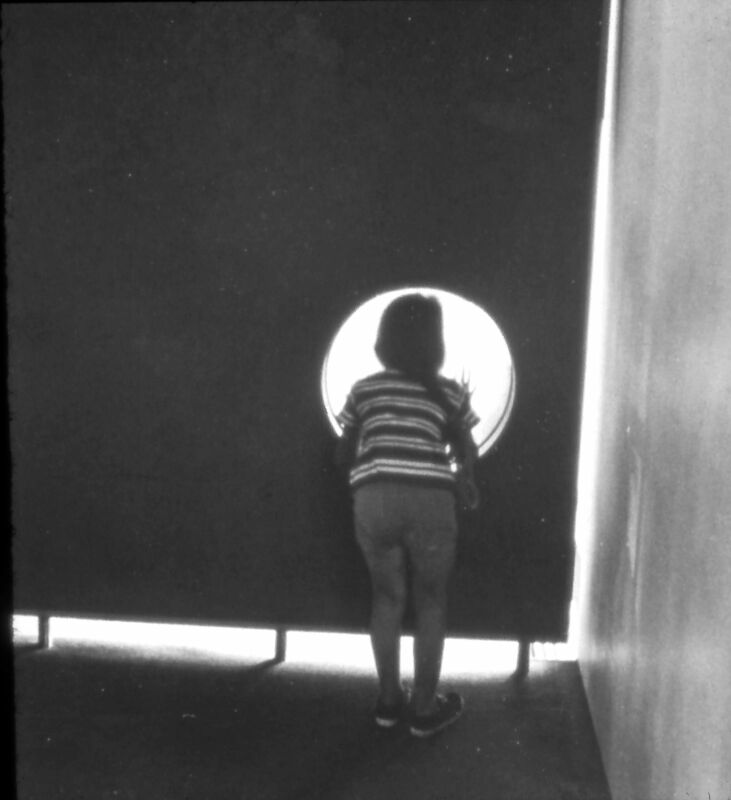 Description:A child exploring the exhibit How Movies Move . Description: Visitor Center movie viewer in the How Movies Move exhibit. Description: Young and old visitors enjoying themselves at the How Movies Move exhibit. Description: A boy at the How Movies Move exhibit. 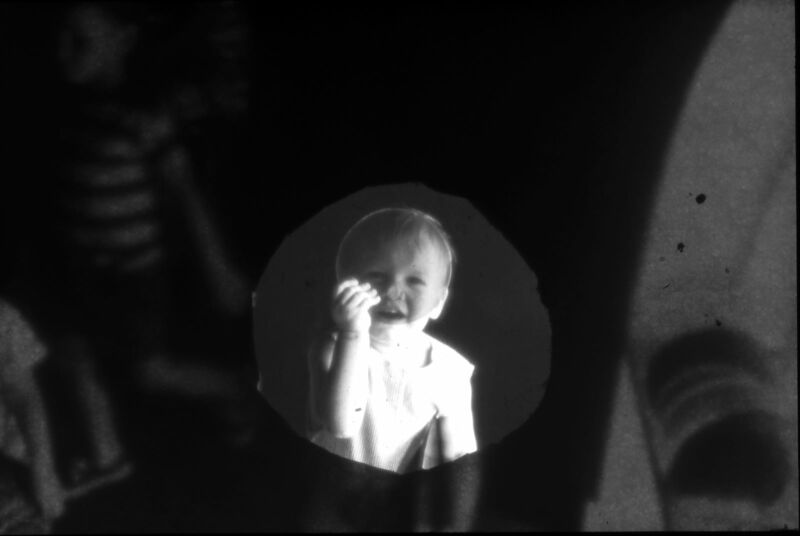 Description: A young girl enjoying the How Movies Move exhibit. Description: Children looking at the How Movies Move exhibit. Description: Children enjoying the How Movies Move exhibit. Description: The How Movies Move exhibit. 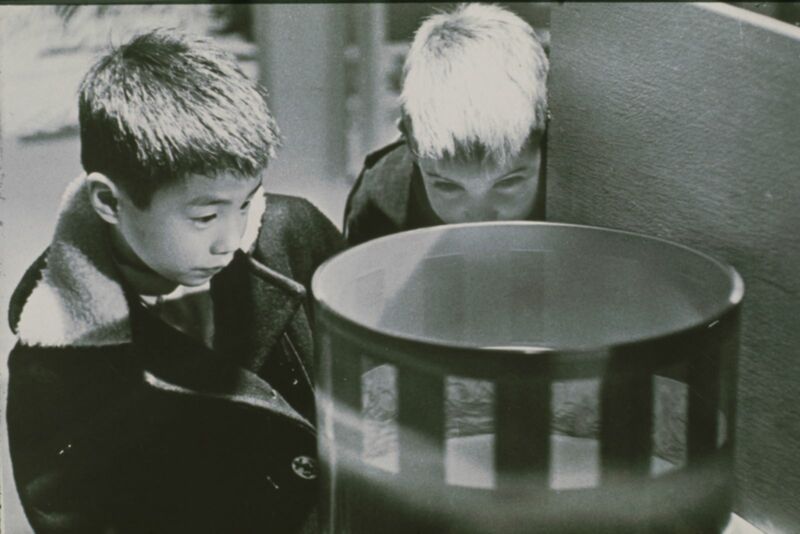 Description: Two boys examine a zoetrope animation machine in the How Movies Move exhibit. Description: Pigs from the Zoetrope exhibit at the Boston Children's Museum. Description: If I Ran the Circus, a Children's story by Dr. Seuss. 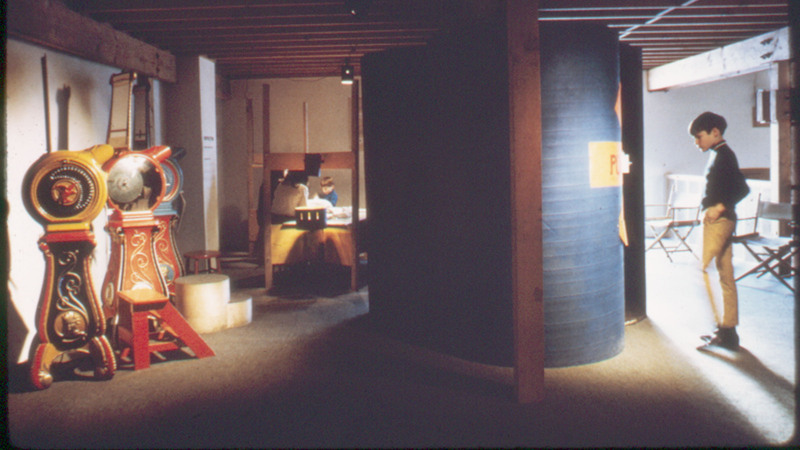 Description: Mike Spock with his family in the Japanese House exhibit. Description: Judy Spock with the Dayton Museum Collection. Description: Mike Spock discusses life growing up with the famous Dr. Spock in the Dayton Daily News. Description: Invitation to Lilo, the Shoe Boy exhibit at the Boston Children's Museum. Description: Fred Kresse talks about the values and standards associated with the MATCh box kits. Description: The contents of a MATCh box listed by Fred Kresse. 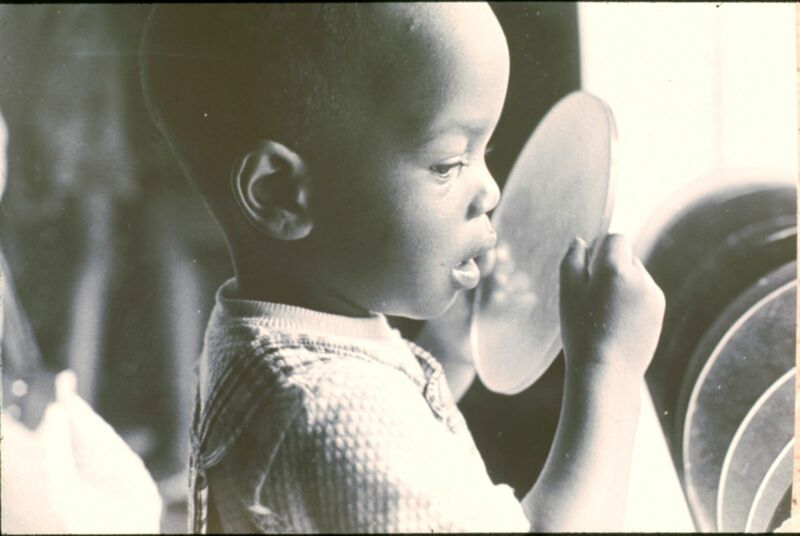 Description: A young boy blowing bubbles. Description: Mike Spock and some young visitors. 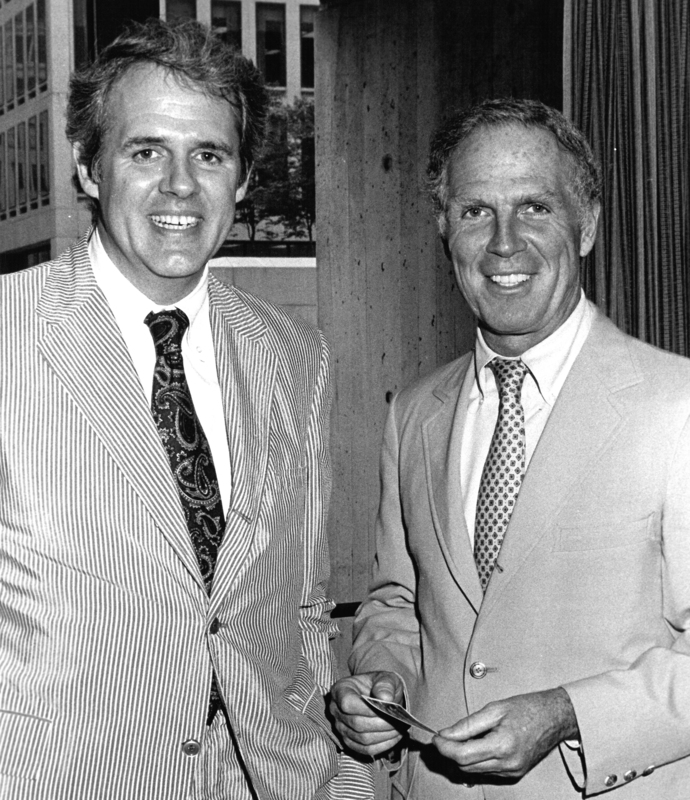 Description: Mike Spock and Kevin White at City Hall. Description: Mike Spock in repose. Description: Mike Spock with his high school swim team circa 1950. Description: Mike Spock (center) with teammates from the high school swim team. Description: Mike Spock writes to his parents from camp in the 40's. 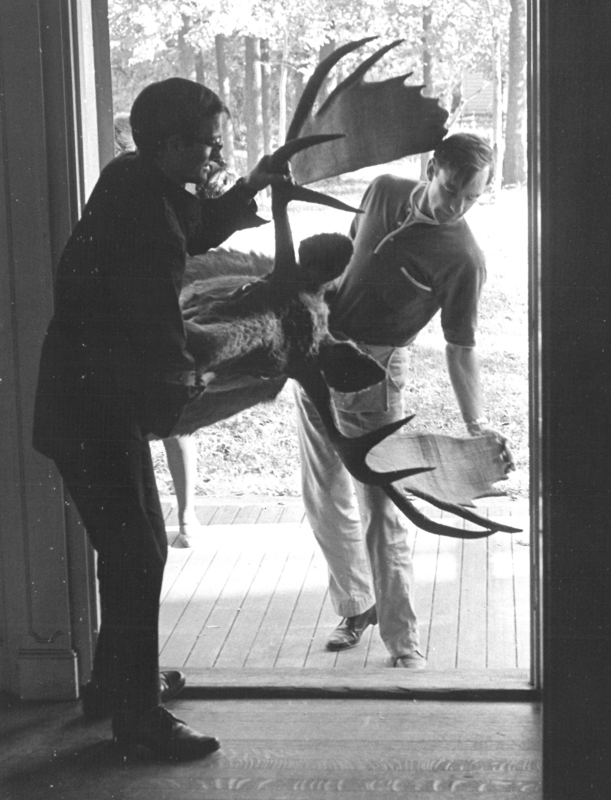 Description: Two men, Henry Hall and Bobby Walker, attempting to carry a mounted moose head through a doorway. Description: Interview with Mike Spock in Ladies' Home Journal on his experiences being raised by the famous Dr. Benjamin Spock. 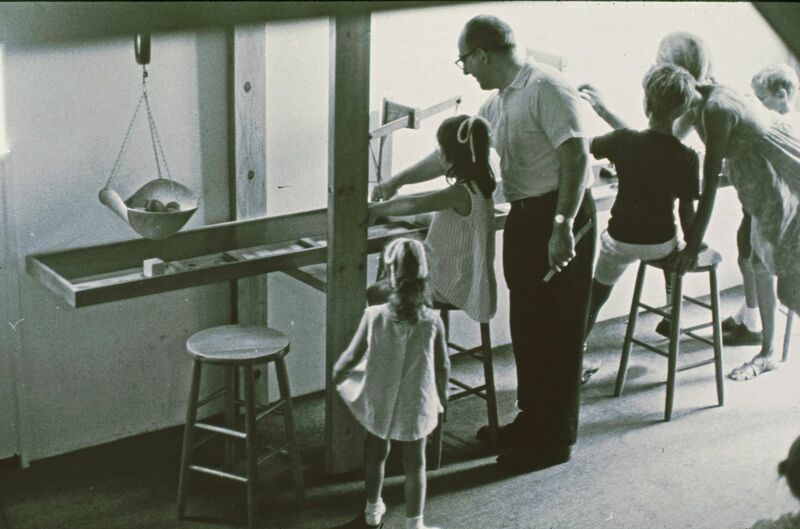 Description: The Saturday Evening Post talks about Dr. Benjamin Spock and his family life. 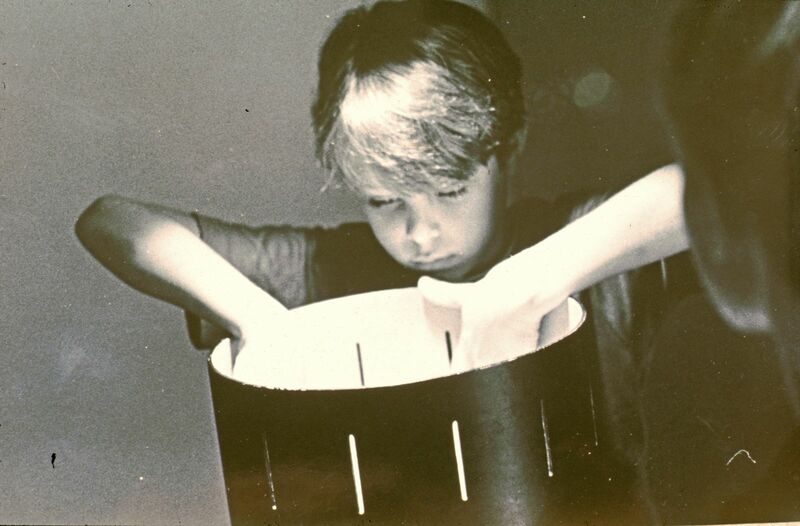 Description: Instructions with illustrations for making paper 'movie machines'. Description: Dr. Benjamin Spock talks about advocating parent/child association from early on. Description:Birdscope article about Charles Walcott's retirement as Lab Director. 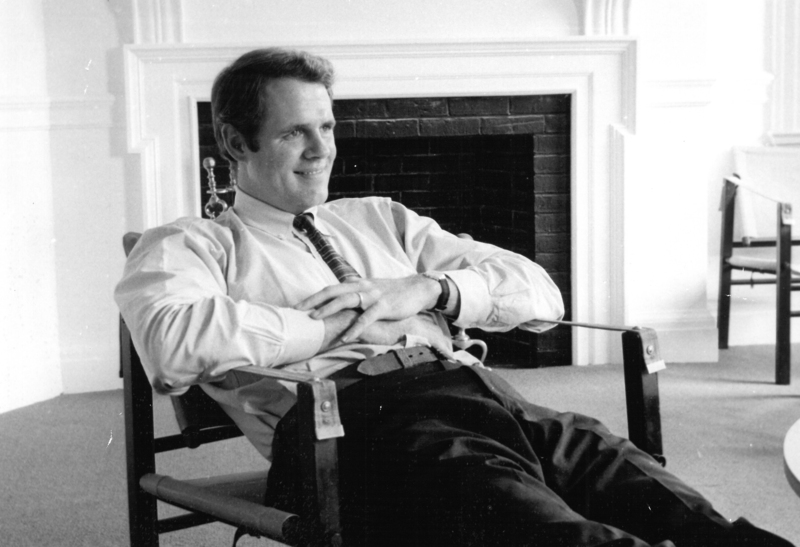 Description: Obituary for Paul Dietrich, the Cambridge 7 partner in charge of Visitor Center renovations. Description: Mike Spock and Phyl O'Connell in black and white. Description: Documents and letters about Phylis Morrison. 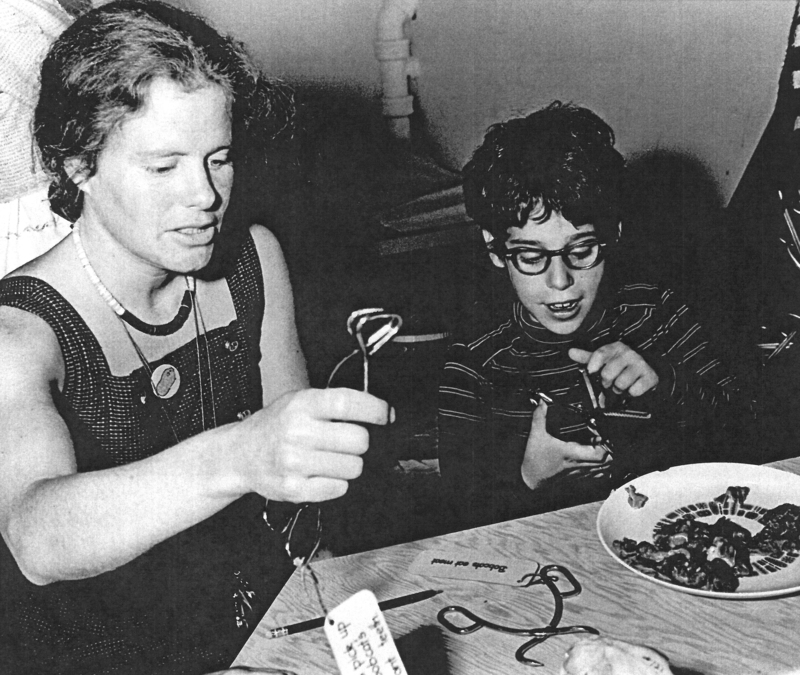 Description: Phyllis Morrison showing a young visitor how to use a blow drill. 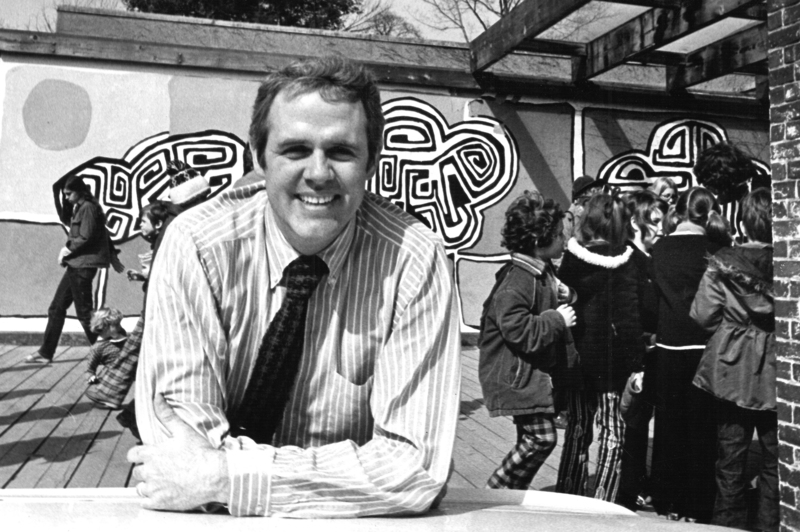 Description: Disussion about the Boston Children's Museum in the New York Times. Description: Five scanned pages from Richard Scarry's Dictionary. Description: Details of Mike Spock's swimming achievements in theRochester Post-Bulletin. 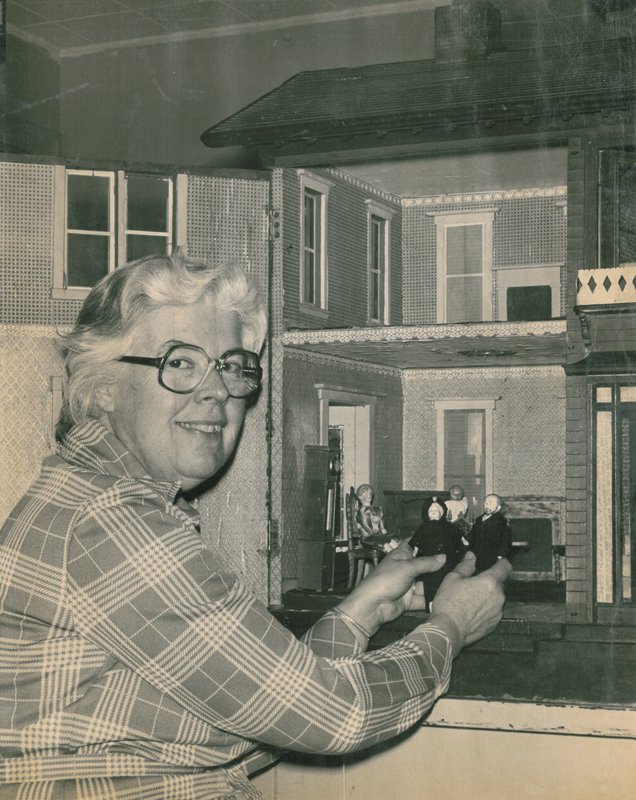 Description: Ruth Green appears before an open dollhouse. 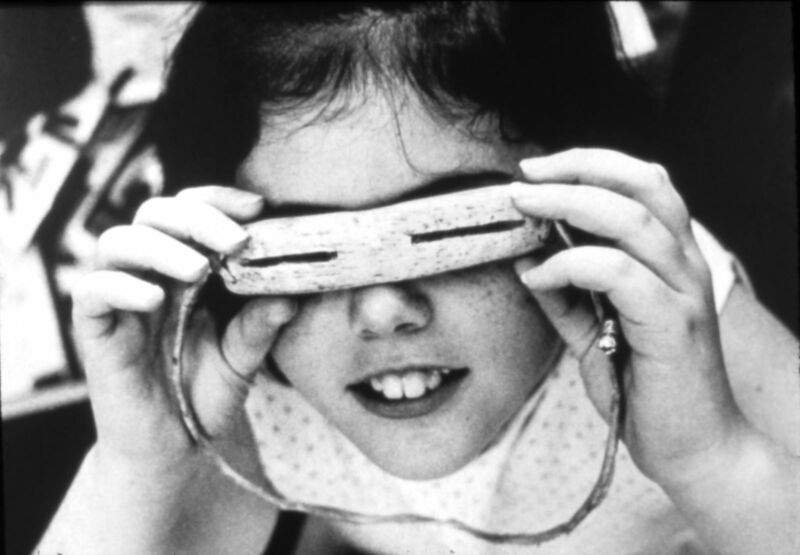 Description: A girl tests out a pair of traditional snow goggles. Description: Mike Spock talks about his experiences growing up as the son of a famous child psychologist. Description: The New York Post Daily Magazine profile ofMike Spock and his younger brother as they discussed their experiences growing up with Dr. Benjamin Spock for their father. 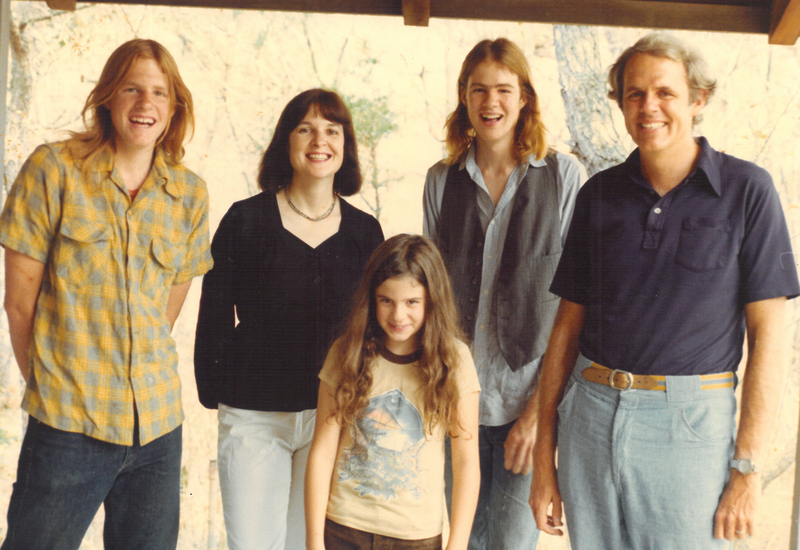 Description: The Spock family from the youth section of Time in black and white. Description: Photograph of the Spock family taken on the Thimble Islands. Description: Highlights from Mike Spock's days as a champion swimmer. 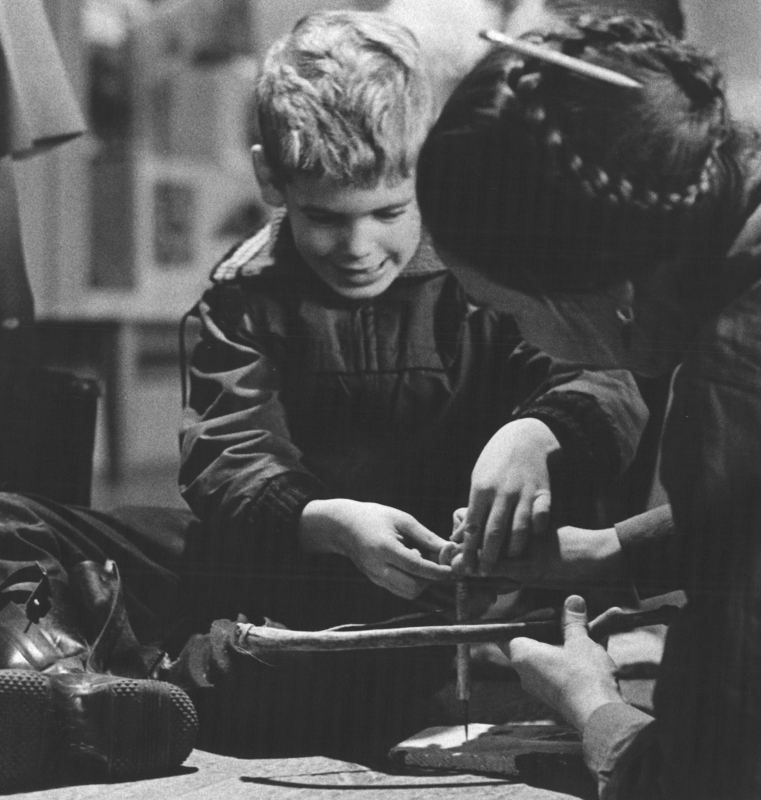 Description: Jennifer Merrill and a young boy using scissors and other common household tools. Description: Mike Spock welcomes everyone to the Boston Stories project and invites feedback in the video interview. 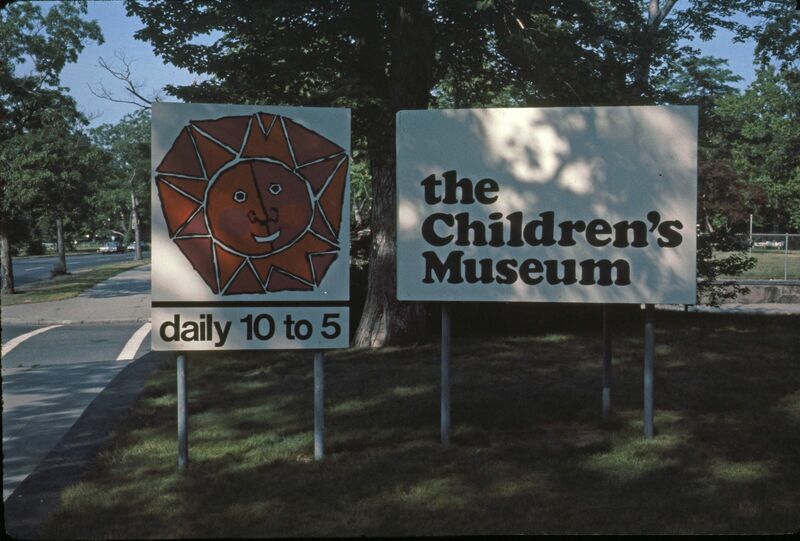 Description: The Children's Musuem signage. 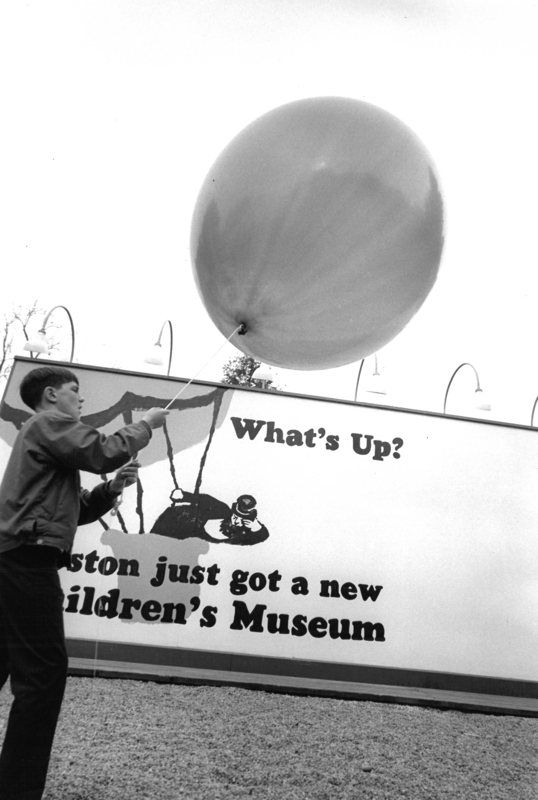 Description: A boy holding a giant balloon in front of a Children's Musuem billboard. Description: Mike Spock explains how he came to this realization and how it helped him explain the museum's purpose to others. 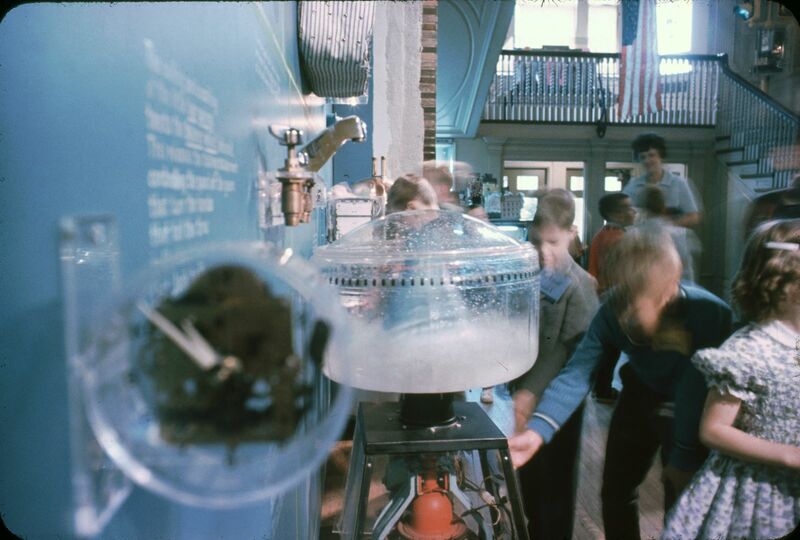 Description: Discussion of how children interact with exhibits that present material in a specific order, and how the Boston Children's Museum worked with a focus group of children to revise some of their exhibits to better suit audience needs (108 pages). Description: Historic image of the south facade of The Metropolitan Museum. Description: "Sketchbook" comic depicting similarities of kitchens and museums. Description: Discussion of the role of museums, and addressing the question of whether they are educative or aesthetic institutions (8 pages). 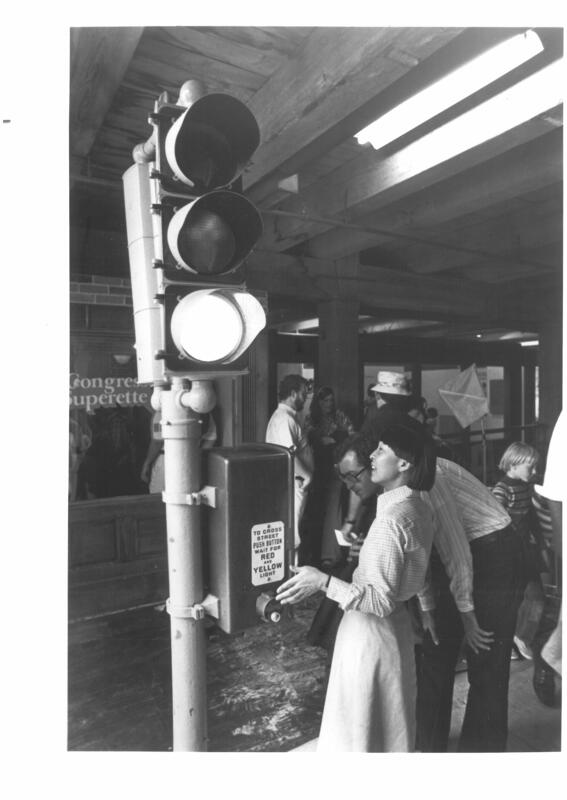 Description: Adult visitors to the museum interacting with an exhibit in black and white. 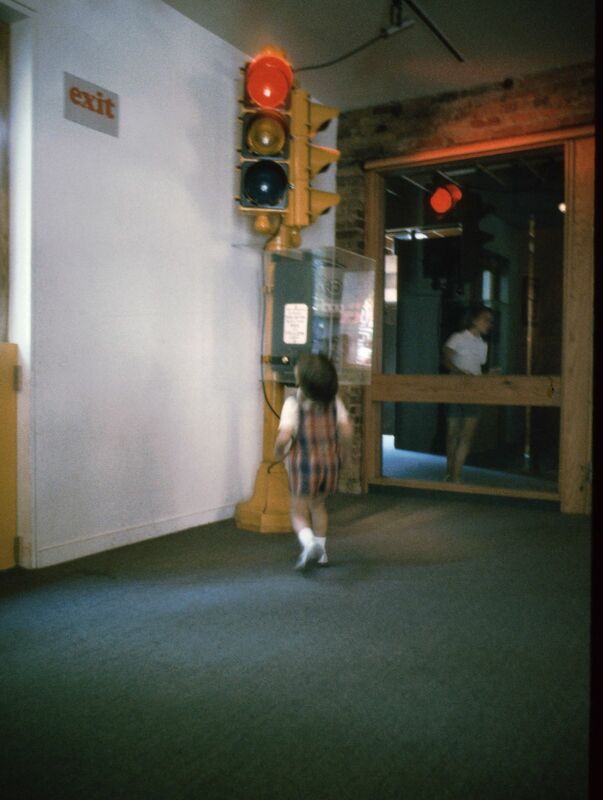 Description: A child interacting with the traffic light in the Visitor's Center. 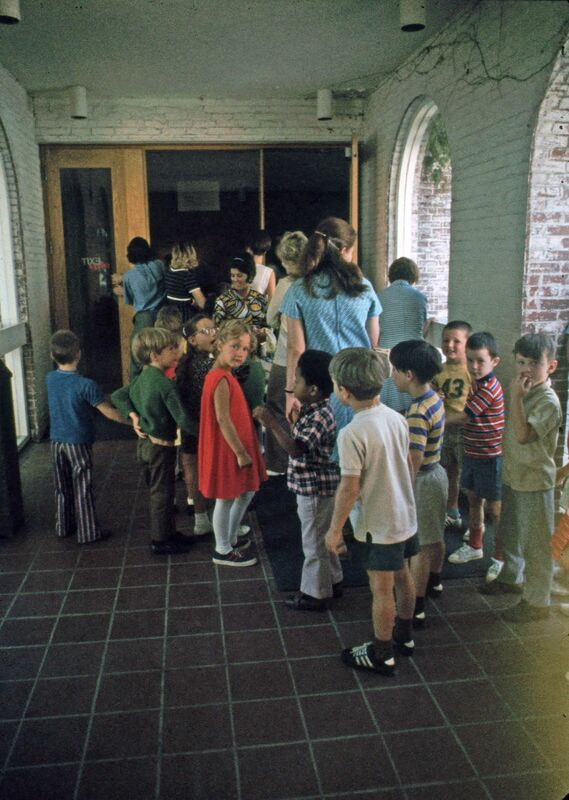 Description: A line of children waiting to get inside from outside the Visitor Center. 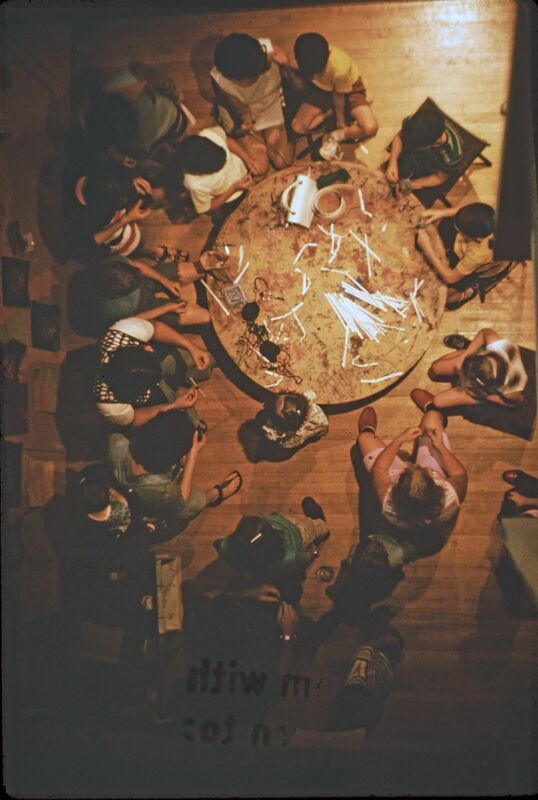 Description: Children and adults gathering to participate in a program activity at the Visitor Center. 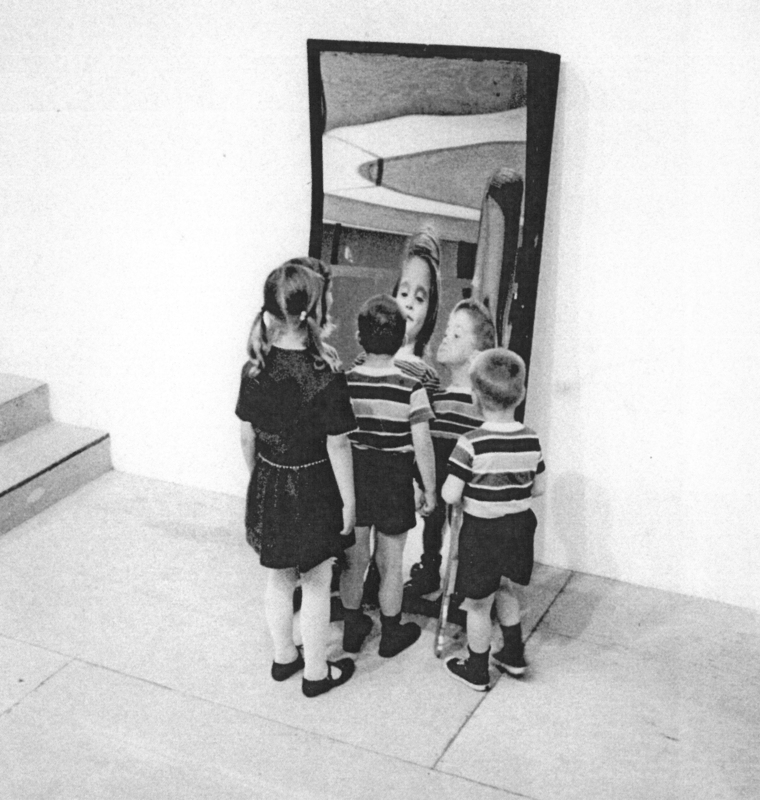 Description: Kids standing in front of a funhouse mirror inside the Visitor Center. 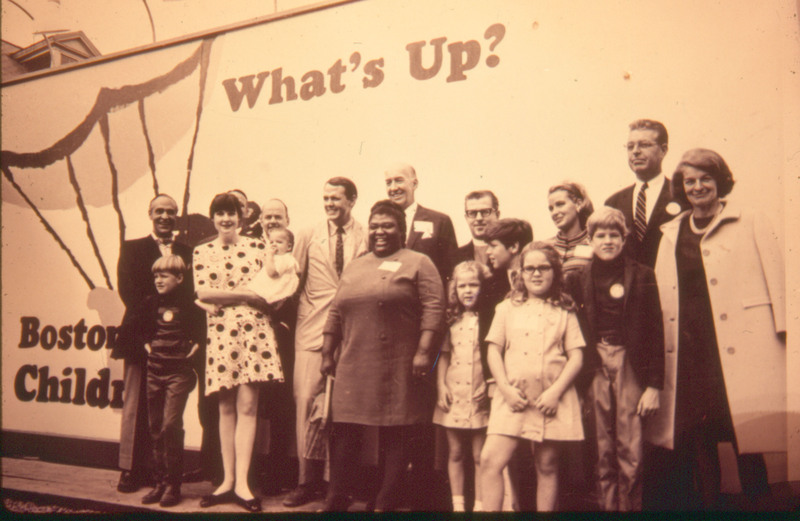 Description: A group posing in front of a billboard during the opening of the Visitor Center. Description: Excerpt from a video interview with Mike Spock discussing his experiences roaming New York City as a youth. 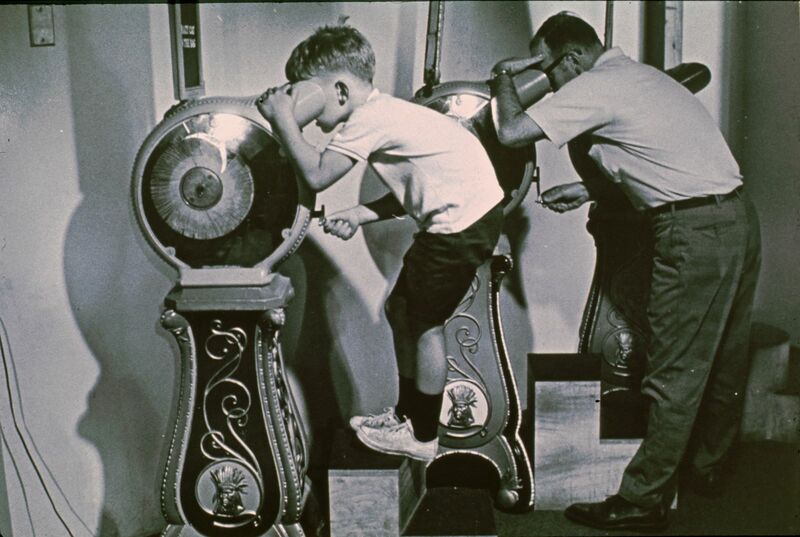 Description: Children and a parent exploring the Weighing exhibit. 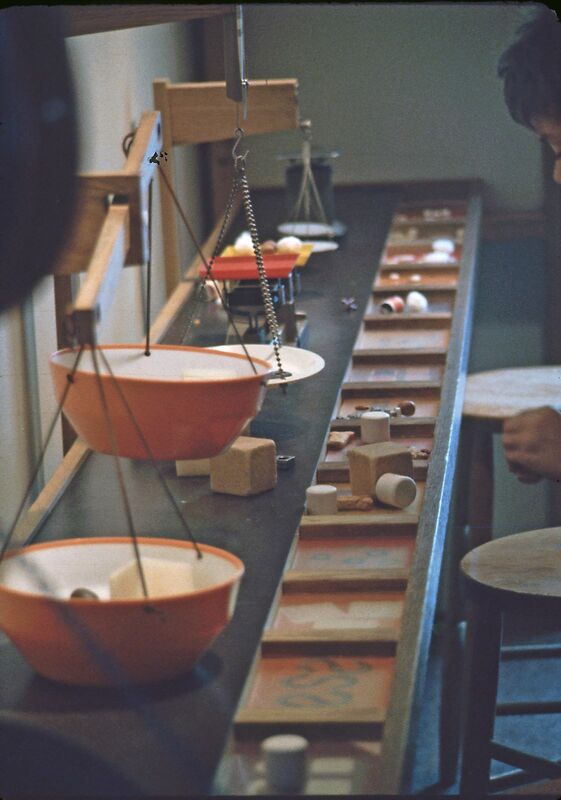 Description: Weights in the Weighing exhibit. 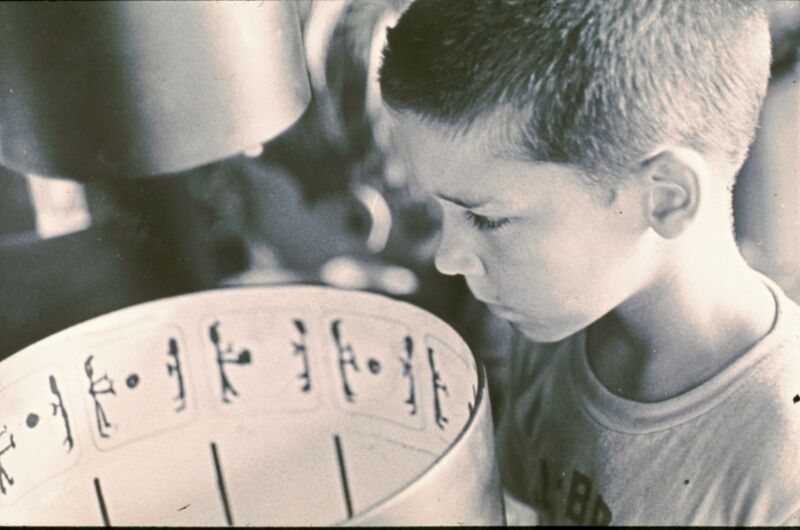 Description: A young boy uses a hanging scale to weigh objects. 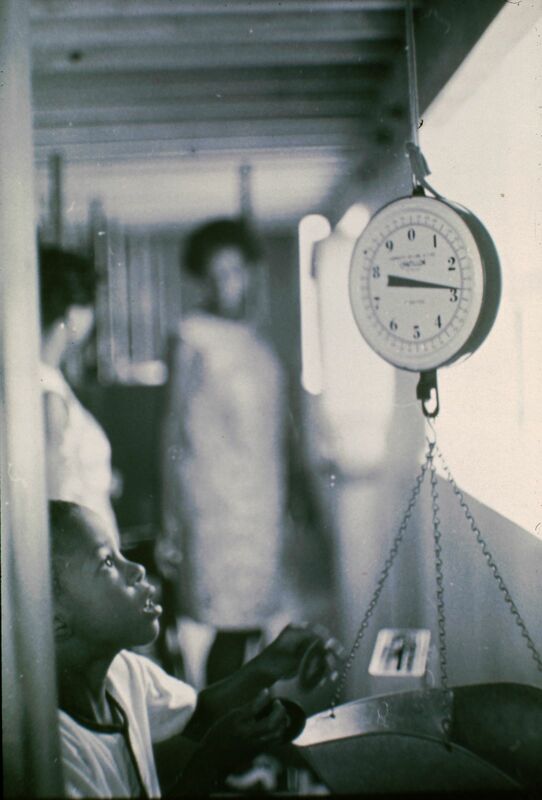 Description: Children use scales in the Weighing exhibit in black and white. Description: A biographical sketch inLook Magazine about Dr. Benjamin Spock, renowned child psychologist and father to Mike Spock (7 pages). 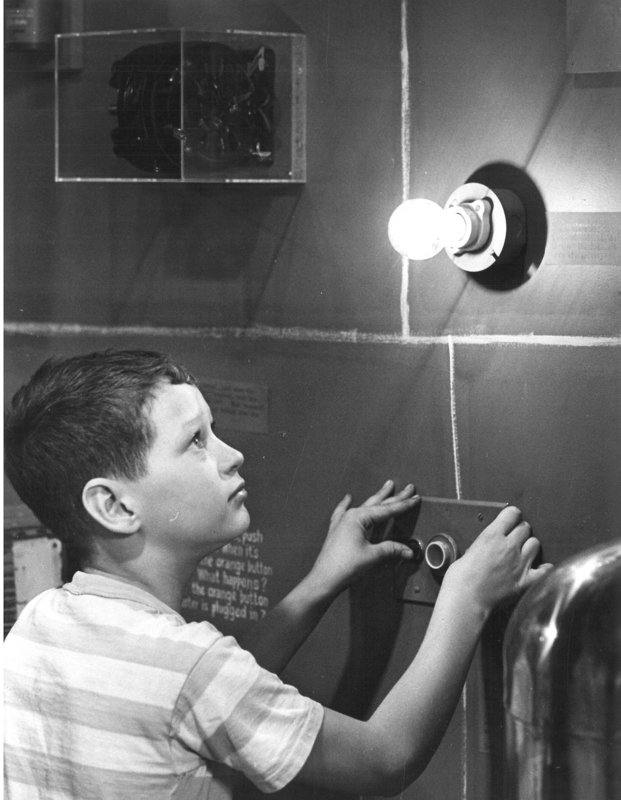 Description: A boy experimenting with a light bulb. 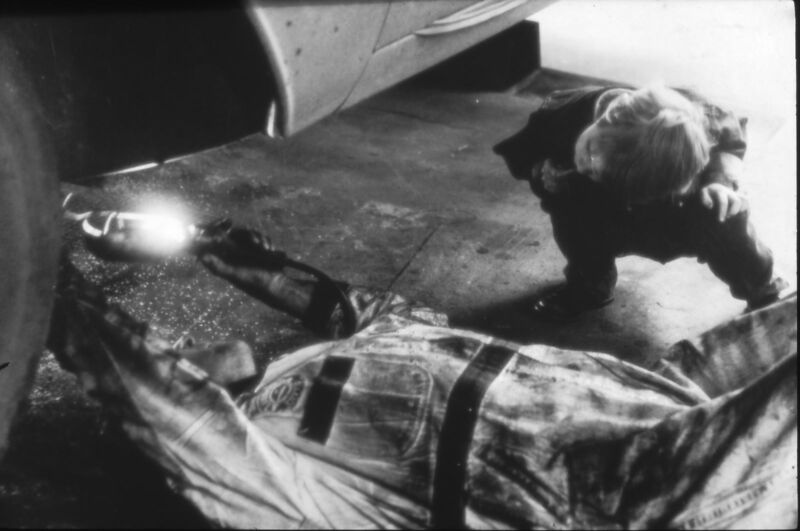 Description: A child watching a mechanic work on the underside of a car. Description: Children climbing out of a culvert in the What's Inside? exhibit. Description: A young child looking through a storm drain. 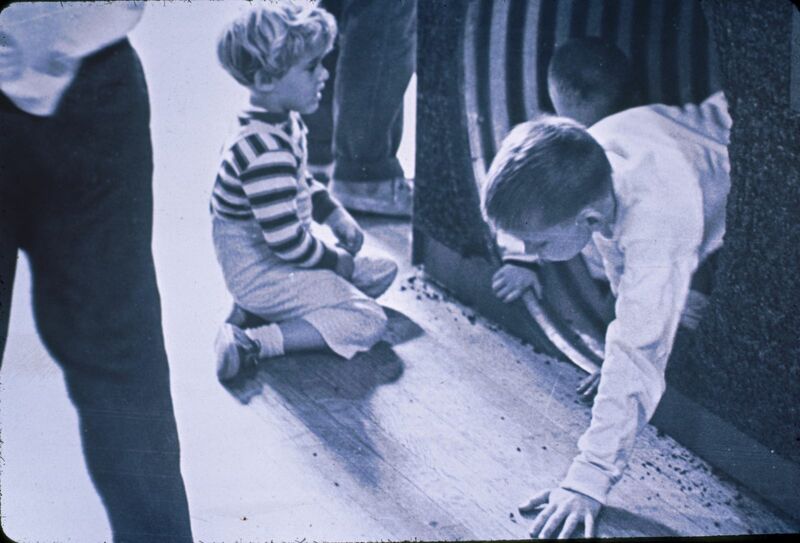 Description: Children enjoying the What's Inside exhibit. 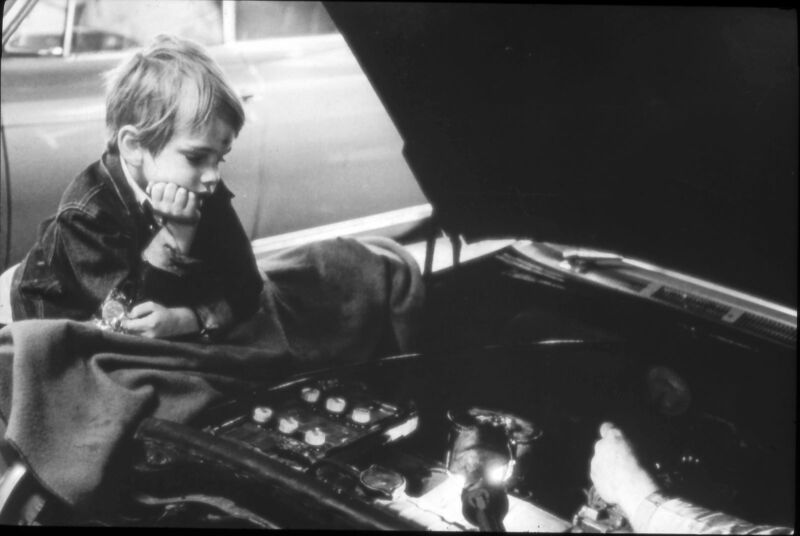 Description: A boy watching a mechanic work under the hood of a car. 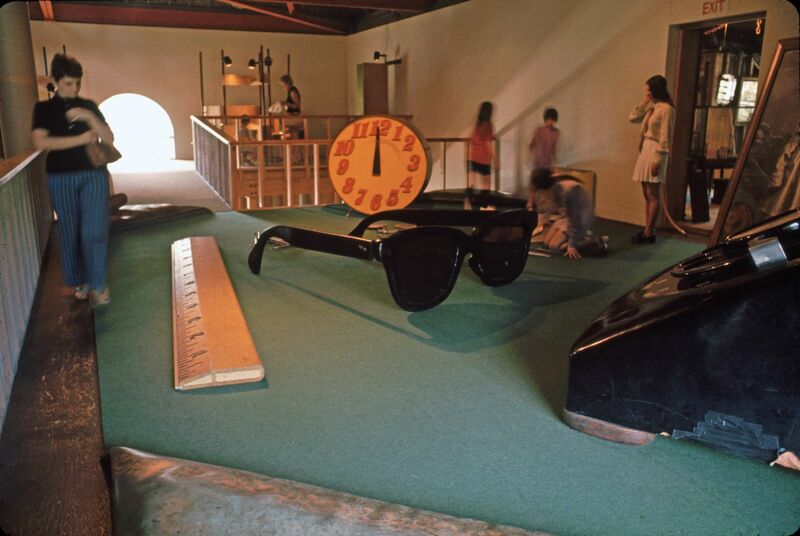 Description: ATime review about new exhibits at the Boston Children's Museum and Mike Spock's role in the museum's new direction. New Haven or Yellow Springs?